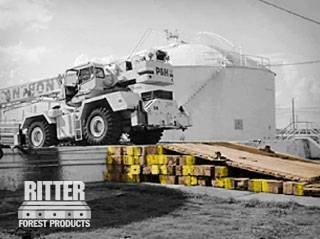 Ritter Forest Products specializes in providing top-quality crane mat sales and rentals to companies who do work in construction, drilling, and other similar industries. We make all of our crane and timber mats out of durable hardwood that will give you and your equipment the support you need while undertaking your next project. We have provided countless crane mat sales and rentals in Channahon, Illinois to companies just like yours and would be glad to help point you in the right direction. We have a number of crane mats in stock here in Channahon, but we know that there are some projects that call for more custom mats and timbers. If you need a very specific size unit for a job, just let us know and we can construct a custom mat for you using high-grade, dependable materials. Our crane and timber mats rentals can be made to order so that they fit your equipment perfectly. The reason you need to use crane mats in Channahon, Illinois is to keep your equipment stable and in place while operating it. The last thing you need is for a crane to start sinking into soft ground in the middle of a lift. We have crane mats, including laminated and timber mats for rent that will prevent your equipment from going anywhere while in use. 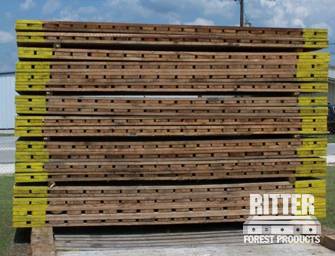 Each and every timber mat that we rent and sell through Ritter Forest Products is designed to hold up to any challenge. Made of high-grade oak hardwood, our timber mats are specifically designed with safety in mind because when your heaviest equipment is fully stable and supported, your team and work quickly and efficiently without worrying about safety. We know that many of our customers could benefit from crane mats that are easy to move around a job site. That’s why we offer laminated mats for rent in Channahon, Illinois for those who want durability and maneuverability. Laminated mats can be used to build temporary roads, set up sturdy platforms, and more. If you need crane mats that can be moved around a lot during a job and are able to protect the environment underneath and around them, our lightweight 3-ply laminated mats are the perfect solution for you. While they are capable of withstanding a significant amount of weight, they are also maneuverable and would work well during a general construction project. You can even hook cables and chains up to them for lifting purposes. There may be times when you need a little extra support out on the job site, and our outrigging pads are designed to give you just that. They are usually custom made to fit your equipment, but we do have some precut options available in our Channahon, Illinois stock, so just ask. We also have transition pads for those looking to move tools, materials and equipment from the ground level up to an elevated platform. 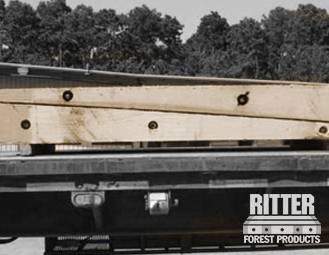 In addition to providing companies with a wide range of crane and timber mats rentals, Ritter Forest Products also has pipeline skids that can help with cribbing, racking, and elevating pipes throughout the installation process. You will be able to hold the pipes in place with these pipeline skids/timbers while you and your team work around them in Channahon, Illinois. Last but certainly not last, Channahon, Illinois Shoring material/cribbing will come in handy whenever you have a temporary structure or even a piece of equipment that needs to be held up in place. 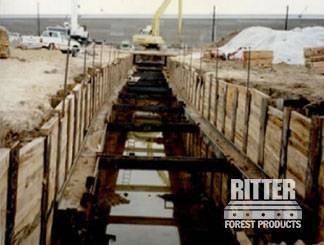 You can keep these things steady by utilizing shoring and cribbing materials from Ritter Forest Products. Do you want to make your worksite safer with hardwood crane mat sales and rentals or to learn more about our laminated and timber mats for rent? Get in touch with Ritter Forest Products today for a more in-depth breakdown of our products.